Did you know that most of the items or products found at home, in the office, and at work or anywhere else have passed through what is known as freight transport service? Freight is the term usually used when referring to the crates or boxes of items being moved from the manufacturer’s site to the user’s location. The movement of goods is called freight transport services. This is facilitated by freight companies or freight forwarders for a certain fee. Being a product user, you only know how good or bad a product is through your usage. Nothing is said or expressed as to the process or procedure that this product goes through before it reaches your hands. Freight transport companies, like any other business venture, have problems of their own as well. This is true even in the core service they are providing. This article highlights some of the major challenges that freight companies go through in delivering the goods right to the user’s end. Discussed also in this article are the strategies they employ to keep their operation and their services afloat. Goods are manufactured for human consumption. As the population grows, so does the volume of goods in proportional degree. In relation to freight forwarding companies, this means that more cargo will be transported to consumers. There are various methods of transport services such as via air, water, and land. Among this wide range of transport mode, the land is recognised as the most frequently used method. This is for the very reason that most consumers are located on land. Land freight or road freight is, therefore, the more frequent cargo movement mode. In fact, road freight is commonly referred to as “the last mile”. This is because it is the mode that delivers the products into the customer’s hands. Since road transport plays a major role in getting the products to their users, much of the problems of freight transport pertain to this transport mode. Freight services companies are also obliged to give additional benefits and incentives for crew members. When roads are good, there is minor breakage or freight damage which is mostly due to handling. This can be controlled by risk mitigation procedures. But with poor roads, breakages or damages can be very inevitable. These can be caused by vibrations due to the unworthy road as the goods are transported to their destinations. Such damages can be lessened by slowing down in speed but this can cause delays in delivery. The usual remedy to this situation is insurance but premiums will increase the cost of the service. Moreover, under bad road conditions, accidents are more likely to happen. When goods are contracted for freight transport, these are usually covered by place and time commitments. If road conditions are good and there is no traffic congestion on the route, the commitment to deliver on time can be fulfilled. Otherwise, there is a delay in delivery. Most delivery contracts require the physical presence of identified recipients. If delivery is delayed, it causes untold repercussions on the outcome of the freight. Of course, traffic conditions will dictate the fuel consumption of every freight transport vehicle. Being aware of the relative value of this energy item, National Freight Management makes sure that its service vehicles are either newly acquired or well-maintained to keep the fuel consumption at the lowest minimum. Vehicle emissions are the second largest emissions in the US, next only to electricity. 18% of the total emissions recorded come from freight transport vehicles, mostly heavy trucks. National Freight Management’s strategy on this issue involves system optimisation. This improves operational efficiency, lesser trips and advanced vehicle technology. These are just some of the challenges faced by various road freight companies. How the freight forwarding companies respond to these problems remain a matter of individual operational strategy for most of them. The reality is that there will be continuing challenges along the way. Some of which may not have been mentioned such as increasing labour cost or its opposite labour shortage. Certainly, these will be issues of massive significance for the companies’ thriving success. While the freight companies are fighting their own battle, it is hoped that the issues outside of the transport companies’ control, such as keeping roads use-worthy, will be immediately addressed by the government for the benefit of all. Almost all products on the market come through, or pass through, a process called freight shipping: a transfer process from the manufacturing plant to the distribution centres, the wholesalers and retailers. Depending on where the products are being sent, the process may involve land, air or sea. If you are a manufacturer or a distributor, whether wholesaler or retailer, you would come through this freight shipping process as frequently as your goods are demanded in the market. The person or entity who you contract to handle the transport of your goods to your desired destination is called a freight company. If your volume is big and varied in distance and you may need the services of more than one freight company, you would need a freight broker to assume the responsibility of arranging and coordinating all your shipping activities, to make sure these are done efficiently. If your volume is small and your destination is near, a broker may not be needed. You can personally deal with a freight mover to transport your goods. But if your volume is great, you may have to seek a broker to do the work of choosing which freight company will handle your cargo. In this way, you pass on the problems of transport to your broker and to the freight company with all the attendant worries, and just look forward to confirming the successful delivery of your goods to their recipients’ addresses. You are thus spared such transport problems as delays, waylaid goods, breakage or cargo loss as these will be expertly handled by your contracted freight broker. You can then focus on the more important aspects of growing your business. 1. Freight brokers are licensed property brokers recognised by the Federal Motor Carrier Safety Administration (FMCSA). To be licensed as such, they need to apply for a USDOT number. This number is needed to be entitled to a license by the FMCSA. 2. A freight broker is required to have a surety bond or trust fund of at least $75,000, proof of which must be presented upon application. This bond serves as guarantee by this broker that you, the shipper, will pay for the shipping service. 3. The best freight brokers are those companies with extensive connections in the transport/carrier industry and who have long and varied experiences in moving and arranging goods for transport. Some companies try to economise in their shipping costs by doing the work that brokers do professionally. While it is true that they may save a little on the broker’s professional fee, the savings cannot equate to the problems if the cargo encounters a hitch along the way. With a professional freight broker, the peace of mind while your goods are in transport enabling you to focus on your business, will certainly dwarf your shipping costs. National Freight Management is an international freight brokerage with more than 30 years of experience in freight forwarding and brokering.Through us, at no extra cost, you have access to every kind of freight forwarder, freight carrier and freight-related service, plus expert advice and a complete freight shipping solution. Call us for a free quote at: 1300 21 12 12. When considering the engagement of a service provider for road freight, Australia teems with some of the biggest and reliable freight companies that do transport services not only interstate but internationally. Australia is a country which has an enormous land mass of sophisticated road networks where interstatetransport particularly is a hallmark of continuous economic progress. Goods and other items of cargo or freight can be transported via the country’s long spans of well-paved road infrastructures from end to end, bottom to top, east to west, and everything in between. Australia’s vast network of arterial roads makes possible the viable operation of road freight companies and brokers like National Freight Management – a leading freight company in Australia with international operations. In fact, when it comes to road freight, Australia can prove to be a truly viable operational location for freight business due to its modern road network facilities that enable transport work to be done efficiently. Consider a cargo that needs to be delivered within Australia. The consigning company (the owner of the goods) calls National Freight Management and arranges for the transport of the goods by a quick turnaround. There are two ways the goods can be delivered: by economy road or by express road. Certainly, if the consignor wants it done fast the express option may be chosen; otherwise, the economy service will deliver the goods and reach the destination point according to regular delivery time, depending on how far the agreed destination point is. Freight companies also make sure the goods being transported are protected from possible damage or loss. Most cargoes are packed securely using boxes, crates, parcels, pallets, containers, and other methods of safe handling of the cargo. They usually cover the cargo with liability insurance in case of loss. It is not unusual that since most destination points are reachable only by road vehicles, different sizes and types of delivery vehicles may be seen plying Australia’s arterial and connecting roads on the way to customers’ locations. Interestingly, most destinations are homes, factories, restaurants and commercial establishments. Most of the items being transported are computers, household appliances, food, construction supplies, medicines, children’s toys, clothes. Most delivery assignments are specific as to require personal acknowledgment of the authorised recipient/s. One of the advantages of road freight is its flexibility to reach even the remotest areas where other methods won’t do. Additionally, most freight companies have fleets of vehicles of various sizes that the size of the cargo will not affect the efficiency of delivery. National Freight Management, for instance, has different vehicle types and sizes to fit any size of cargo. Road freight, however, is only one type of cargo transport service that freight companies and brokers handle. There are certainly cargoes that need to be moved by rail, by air, or by sea, especially those that involve long distances requiring island traversing. Also, for client companies that do multi-mode cargo transporting, National Freight Management offers the convenience of a broking facility where they make all the arrangements for the goods to be delivered to their destination, no matter what transport mode the client wants. With more than 20 transport companies in their network, they can in fact even secure several transport options and present these for the client to decide which option to take. It has been observed that while there may be other modes available to move cargoes, road freight offers the most convenience, for the very reason that almost all deliveries are ground deliveries. This means that, even if a cargo is sent via air freight, or shipped, it will still need to be transported by land to its recipient. Besides, with technology dominating the systems and processes, road freight services are expected to produce enhanced efficiency and overall economy. National Freight Management is an international freight brokerage with more than 30 years of experience in freight forwarding.Through us, at no extra cost, you have access to every kind of freight forwarder, freight carrier and freight related service, plus expert advice and a complete freight shipping solution. Call us for a free quote on1300 21 12 12. If you have goods (also called cargo or freight) you want to transport from one location to another within and outside of Australia, then there are three ways you can do this. Firstly you could carry the goods yourself to your desired destination. Secondly you could employ some people or some companies to do this for you; such as freight companies. Australia is base to some of the biggest international forwarders. Or thirdly ask some people or some companies to arrange the transporting of these goods to your desired destination; these companies are called freight brokers. It would be so simple if we were talking about one item or one package; no need to involve anybody else. But when extensive volumes of goods or cargoes are involved, there is a need to engage established groups or firms with experience and with facilities for handling transport as a service. Freight companies are organised firms that do the specialised work of moving or forwarding freight or cargo as a business. Some are national or domestic; some are international. The moving methods or modes are also varied as by road, air, sea or rail, with the decision as to which transport mode to use resting in the hands of the owner of the goods. Such a decision is usually guided by the factors of cost, time, and characteristics of the goods. Given the variety of considerations in choosing the right cargo handler, the decision is thus entrusted to a freight broker who has the expertise and the knowledge of the ins and outs of freight forwarding. A freight broker is your shipment’s third party arranger whose job it is to see to it that your cargo is transported in the best way possible to where you want it delivered at the least cost to you. Hiring a freight broker saves you the trouble and time involved in determining the best transport mode and identifying the most qualified freight company, Australia or elsewhere, to handle the transport job according to your time and financial allocations. A good freight broker knows the workings of the transport industry, employs the necessary technology to do what the owner wants, and knows by his experience which transport company can best perform the work you want done. Because the broker knows and you don’t, by engaging a broker, you save a lot of money scouting for the mover, and you are not even sure you would make the right choice. If you are doing international forwarding, you may have to deal with a whole lot of interstate regulations which require personal attention and time. And certainly, even if you were the one directly handling your goods transport, you cannot be sure about unforeseen possibilities which may upset your intentions. Such risks are covered by your agreement with your broker. Your broker is experienced in these things and can easily deal with such eventualities irrespective of the kind and size of your shipment. Thus, the burden of integrity is passed on to you in the selection of your broker. Not to worry, for you have some built in premises that can help you make the right choice. A good freight broker has a licence and is duly registered with the Federal Motor Carrier Safety Administration (FMSCA). It must also abide by a mandatory federal requirement of registering with the Unified Carrier Registration (UCR) programme. A good freight broker is properly and adequately insured. It must be able to show evidence of this insurance coverage. This will be your protection against the risks that may befall your goods. A good freight broker is bonded, a requirement for licensing by the FMSCA. The surety bond is a sort of guarantee that the broker will abide by the terms of its agreement with other parties. There are other qualities that a broker must exhibit to indicate how he may behave in an agreement. His integrity and reputation, for example, must precede his name. It is important that you trust your broker because you will rely on his words that he will take care of your goods. Of course, you can be your own broker as you can be your own forwarder. But since you are in another business and not in forwarding, it is as much logical as it is practical to leave forwarding in the hands of the professionals. The price you pay for the services of these experts cannot equate to the peace of mind and convenience you derive from the engagement, knowing that some responsible people are keeping close tab on your merchandise. With more than 20 transport companies in our network, we help you get the best option for your requirements – to get your goods to where you want them to go, at the most cost-effective rate. Call us for a free quote: (03) 9800-1444 or Toll Free 1300 21 12 12.
Business dealings and negotiations are, for the large part, based on mutual trust between the parties, but this is generally established by reputations and referrals. When you’re entering an industry that you are not familiar with or a business that would require the help of service provider, it is important that you guarantee that they are legitimate. A great example would be hiring a reliable freight broker. How do you find one and how could a freight broker be beneficial to your business? Your freight broker in Australia is capable of linking your company with the most suitable, cost-effective, and timesaving freight option. This is attained by bids being obtained from a variety of recognised companies, some of which you may not have considered basically because you are unaware of their services. A qualified freight broker in Australia will give each client equal attention and diligence. The broker should also be able to provide his/her clients with the best possible deal from the carriers that could serve them best. An experienced freight broker will be completely aware of the regulations regarding shipping of goods in Australia or overseas and of the required paperwork to smoothly execute every transaction. There is a need for troubleshooting in any business environment and your freight broker should be able to help you resolve issues connected with freight management. There are still organisations that manage their own freight shipments because they believe that this will cut the costs, but occasionally, they still have to enlist the services of a freight broker for certain complex and important freight deliveries. Once you have decided to hire a freight broker, you now have the task of deciding whether you have enough confidence and trust in him/her. The first item on your agenda should be to confirm that this broker is licensed and bonded, which is, in fact, required for their operation. As the Internet is easily available and convenient, you can check online the credentials of a particular freight broker in Australia. All freight brokers are subject to regulation by the Federal Motor Carrier Safety Administration (FMCSA). Therefore, a visit to their website will provide you with the information that you need to confirm if your chosen freight broker has a valid license. Determine that it has been renewed on time and the required surety bond has not been cancelled. In addition, the broker’s website should be able to give you information if the license has ever been revoked or reinstated. If your potential freight broker appears to have an established and satisfactory record online, still request a copy of the broker’s operating authority. Review the details and determine that the identity, motor carrier number, and all dates match the data that FMCSA have. If there are discrepancies, discover the reason and be extra cautious. It is specified within the regulations that anyone who acts as a freight broker in Australia needs to register and obtain a broker or freight forwarder authority from FMCSA. It is further stated that brokers and freight forwarders will also now be subject to a minimum $75,000 financial security requirement. Insurance is closely linked to any type of business operation and is a critical factor. It is recognised that every freight broker in Australia must possess an insurance certificate, to show a greater degree of legitimacy. This is primarily due to the investment associated with risk mitigation for themselves and their clients. Be sure to obtain a copy of the relevant certificate and then have it verified prior sealing the deal. Pay special care and attention as to whether the insurance company matches the one listed on the FMCSA website, with all other related information shown on this source. Thoroughly check and compare the identity, policy numbers, and effective dates of coverage. To be completely satisfied, contact the concerned insurance company and determine if the policies are currently in effect. A freight broker in Australia is obliged to purchase a surety bond to enable them to legally conduct their business. The bond, also referred to as a BMC-84, is required by FMCSA and is designed to ensure fair practice. Should a carrier not be paid under agreed terms, they are given the option of claiming against the bond for the payments due. Before the 1st October in 2013, the minimum bond requirement was $10,000, but it was subsequently raised to $75,000, with losses up to this sum being compensated in full. The FMCSA website can be used to confirm if the surety bond of a freight broker in Australia is active. It is necessary to keep record of the details of every service provider that you encounter, and this applies to the freight brokers who are in your list. Having a record will help you get to know each broker and come up with a well-thought of decision as to the service provider that could properly fill in the role. Include all contact details, which can be used in the referral process, such as, a physical address, phone and fax numbers, and current email address. It can include particulars regarding the overall approach to your requirements and whether they have the capacity to meet your specified deadlines. A fact of business is that trust must be earned and established, so both parties could benefit from the solid foundation that they have built together. An example of an established, reputable company is National Freight Management (nationalfreightmanagement.com.au), an Australian freight broker that is associated with over 20 different freight companies. It provides an extensive range of shipping, transport, and freight forwarding services across Australia and overseas. What are the Benefits of Using a Freight Broker? For a company that is involved in a substantial amount of frequent shipping of goods, there are many and varied reasons why they should seek the support of a reliable freight broker in Australia. One specific and important factor related to this decision is that freight brokers have an in-depth knowledge of the business, which includes familiarity with the various procedures and access to the best available incentives and options that could prove viable, finance and time-wise. Another primary consideration is that you would have the advantage of conducting your freight business with one direct contact, instead of negotiating with several companies, which could complicate things. A freight broker in Australia is a specialist with a proven record and experience. The broker’s familiarity in the various aspects of the business is a big advantage to you, the client. It is, of course, easier to deal with a service provider that has a good track record in all aspects of the business. In this instance, your broker would be acting on your behalf so he/she should be capable of securing better terms, conditions, and service for you. This can easily be observed when he/she directs you towards freight companies that could meet your requirements and give you a good deal. Your liaison with a freight broker in Australia will provide you with the opportunity to get to know different freight shipping companies. You will soon be aware of which companies will provide the best service that comes with reasonable rates, and which ones to avoid. This can help you save time and money. There are many businesses, which have limited resources and time, that need to the service of carriers that can offer favourable terms to move or ship their goods on a regular basis. It is for this reason why having a freight broker in Australia could be of great help. Your broker has established communication sources within the industry and the expertise that enables him/her to approach the right carriers. Aside from that, a good freight broker should be able to negotiate competitive rates on your behalf. The primary concern of a producer is the manufacturing and distribution of their products. The main role of a freight broker in Australia is to arrange the transportation of those products from the source to the recipient. It is also part of the freight broker’s job to guarantee that the goods arrive at the destination on time and in good condition. Dealing with high volumes is an advantage in gaining the best available terms in any industry. Freight brokers are aware that this advantage can help their clients in getting highly impressive discounts so they will do the best they can to negotiate or bargain with different carriers. In various instances, trucking companies do not operate with a sales staff, and more often, they have limited manpower. Therefore, they are forced to depend on a freight broker to maintain their deliveries. It is an established relationship between the broker and carrier that contributes in having an effective operation and in ensuring satisfaction for the parties concerned. A factor today concerning many companies is the freight cost. It is believed that as demands for higher wages and operating costs increase, so will the expenses associated with the freight industry. This is motivated by an increasingly integrated business scenario and the expansion of ecommerce. Getting the service of a freight broker has a great impact in the development of one’s business, as he/she helps in maintaining cost effectiveness. It is generally acknowledged that freight shipping has made a significant effect various businesses and that efficient logistics can make a big difference. It has always been a criterion for companies to direct their focus towards the aspect of freight, which on average, is regarded as being the second largest company expenditure. It is therefore, no surprise that many business operations have been giving greater attention to managing freight logistics. The efficient and effective managing of freight for companies, by a qualified, experienced freight broker in Australia can help save costs and contribute in the degree of success of the company. Another factor that businesses look for in a freight operation is the fast delivery service, as some would even require next-day deliveries. The competition is quite tough and sometimes, it all boils down to which company can deliver the fastest. This has meant that the efficiency and effectiveness of freight have assumed a new dimension. For this reason, the expertise of a freight broker has become necessary. It has become important for any business that makes use of freight services to determine the factors related to their freight operations. This will involve assessing the primary influencing factors like price, performance, and turnaround time. To gather more detailed information about freight shipping, it would help to seek advice from a freight broker who can help you which company offers good services and reasonable rates. A qualified freight broker knows which shipping companies to approach based on your requirements. Their expertise is gained from experiencing the various aspects associated with the freight industry. They will have the knowledge related to costings, service, and performance issues that can help your operation achieve a higher competency and efficient customer service. The measuring and monitoring of key performance indicators, which is believed to be a critical in logistics management, are services your broker could provide. The management of freight performance enables you to solve an issue before it becomes a much bigger problem. These are issues that can receive specific attention for ongoing improvement. National Freight Management (nationalfreightmanagement.com.au) is a freight broker capable of providing a wide range of shipping, transport, and freight forwarding services across Australia and overseas. This organization is associated with over 20 freight companies, which makes it possible for them to offer complete customer service. Utilising freight services is absolutely essential for any kind of large scale company. This is especially true in Australia. Australia, being such a monolithically large country, requires for reliable and effective freight services in order for businesses to be successful. There are currently lots of freight companies in Australia. However, some of which are not very effective at providing a top notch freight service. Thankfully, using the services of a highly respected freight broker such as National Freight Management, more Australian companies can see success through reliable freight services. This article will look into everything an Australian business owner needs to know about freight brokers and reliable freight services in Australia. Australia is a huge country with a relatively small population. The distance between Perth and Sydney covers the same distance between dozens of countries in Europe. The large amount of space that is available throughout the country has made it perfect for lots of large scale industrial businesses. Although the large amount of space means more Australians can operate and manage more large scale companies, it also brings up problems in regards to transportation. It is vital for rural Australian businesses to have access to high quality freight company Australia. A large amount of the Australian population live in very densely populated areas on the eastern coastline of the country. Thus, most companies have the majority of their clients living in areas such as this. On the other hand, many large industrial companies and businesses are located far away from the eastern coastline, in very rural areas of Australia. This makes transportation quite an issue. This is because delivering fragile and large goods from a rural area to a densely populated area requires the use of a highly talented and reliable transportation service. This is where National Freight Management, one of the most trusted freight brokers in Australia comes into play. This freight company knows everything that there is to know when it comes to transportation of a various range of goods in Australia. It’s because this business has been around for around 30 years. Throughout these 3 decades of service, this business has helped many Australian businesses of various sizes to successfully and quickly transport goods from all corners of the country through such means as road and rail freight. National Freight Management is able to provide freight services to just about every single business industry in Australia. They are able to provide safe, quick and effective transportation for everything from automotive parts to large furniture. In fact, the entire freight business is able to cater to the freight needs of industries ranging from fitness to electronics. There literally is not an item that can’t be safely delivered through the utilisation of such a trusted service such as this. Being one of the best freight companies in Australia, National Freight Management is able to provide the highest quality of road freight services in Australia. Many business owners in Australia often think that the best way to ship goods is by utilising air freight. However, this is not always the case, with road freight being a far superior option. The road freight that is provided by a trusted company as National Freight Management is able to transport goods from a rural area to a densely populated area overnight. This essentially means that a person will be able to get their goods delivered as soon as possible, at any time of the day, when they utilise a renowned service such as this. Many locations across Australia can only be reached by road. So, this means that air freight is a counterproductive freight option. Going with air freight often causes delays as booking a plane for shipment can take quite a long time. Furthermore, arranging for further transportation to and from the arrival airport can be costly and time wasting. It’s for this reason that road freight is such a popular option for Australian business owners who value time and productivity. After all, what kind of a business owner wants to worry about freight when there are more pressing things to focus on. When it comes to Australian businesses that wish to transport very large and bulk items to an area, rail freight is the best means of transportation. Utilising air freight for something such as this leads to extremely high costs as well as lots of wasted time in delayed deliveries. Australia is a country that is well connected by railway systems, especially when it comes to large rural industrial businesses. National Freight Management operates some of the most efficient rail networks in Australia, such as those that run from Kalgoorlie to Adelaide. A freight broker such as this is able to provide many Australian businesses with some of the quickest and most efficient rail freight in the entire country. Of course, National Freight Management, being a truly best freight company, is able to provide instant quotes for businesses looking to utilise their freight services. Their website has an extremely extensive freight calculator. This provides anyone with a very accurate quote down to the tiniest detail for a freight service they are interested in. Such a renowned freight broker as this maintains that no one in Australia will be able to find a fast, reliable and trustworthy freight service such as theirs for a lower price than what they quote. In conclusion, National Freight Management is the best freight service in the whole of Australia. Businesses owners need to focus on many other more important aspects of their business rather than worrying about freight. This can be achieved through the amazing peace of mind that comes with a renowned service such as this. How Important is a Freight Moving Company to Your Business? Doing business in Australia has changed over the last few decades. Certainly, the age of information has transformed the way business is done, and so has the way a company delivers goods. Very few businesses have trucks of their own anymore, and most of them turn to freight companies to move their goods. It makes good business sense. Why pay for and maintain your own delivery vehicles when you can hire the services of an expert freight company? This is just one of the many compelling reasons for a business to put a quality freight moving company on their speed dial. 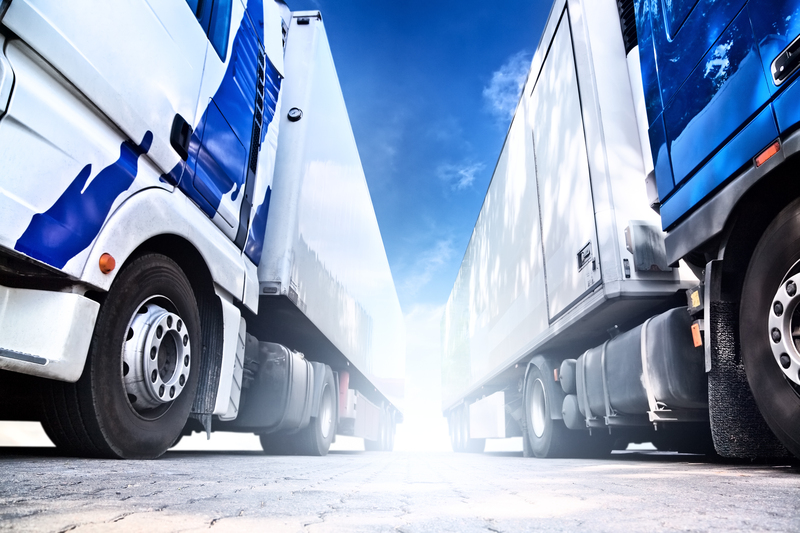 Eliminating the need for a private truck or fleet – No longer will you have to pay to maintain a delivery truck fleet. That means no maintenance costs, no fuel costs, and best of all, no need to put out over a hundred thousand dollars for delivery vehicles. When you hire a freight service, you just pay the price of delivering your goods and nothing else. Offering transport alternatives – Depending on where your freight is going, you may have many options of how to get it there. This can include air, sea, road, and rail. Rail is often a less expensive choice than road, but if you have vehicles of your own, you would be less likely to be able to take advantage of the rail option. Additionally, a good freight company will have facilities and agreements available to them that result in them being able to offer less expensive rates than you would be able to procure yourself. Saving time and money by managing all documentation – A good freight moving company can save you administration costs by managing all your freight documentation online. You will be able to quote, book, and track with a click of a mouse or a swipe of a finger. This time saver allows your office and staff to work more efficiently. With the economy picking up, now is the time to take steps to develop your business. Having a great relationship with a freight moving company is an important tool in getting your business to flourish. There are many ways a good freight company can help you reach your goals. Assist your company in developing a national (or international presence) – With a reputable freight moving company in your back pocket, a business that services local customers can now compete in a national and international market. If you work with a company that has competitive shipping rates and a stellar reputation for delivering goods, you may find you can expand your customer base from municipal to global. You can compete with the big guys – One of the problems of being a smaller business in a big-business world is not being able to compete. The multi-nationals get all the breaks because they can move things in bulk. By hiring a freight company, you even the playing field. Because your freight moving company is working on behalf of a number of businesses, they can procure the same rates for you as your largest competitor enjoy. A reputable freight moving company will have a team to help – It will almost be like having your own shipping department. If you ensure you hire a freight company with a commitment to customer service, you will have a great advantage over your competitors. A team with experience and knowledge will not only save you money, but also increase your overall reputation, thus increasing your likelihood of bigger sales. What Should You Look For in a Freight Moving Company? After you have done diligent research and have decided that a freight moving company is the correct choice for your business, you need to find the right one. There are a few attributes you should look for when choosing a freight company for your business. Are they up-to-date? – You need to ensure that the freight company you choose has all the latest software and gadgets that are necessary to your business. Ideally, they should be able to integrate with your current software system to ensure you can easily manage all online aspects of your shipments. Do they have good customer support? – The company you choose must have more than just low rates. There must also be adequate customer support to answer questions. An online support team is great, but a good company must also have knowledgeable staff available by phone and if necessary, in person. Do they also offer parcel service? – Although not a make or break part of the deal, it is certainly convenient if all your shipping needs, including the smaller ones are available with the same mouse click. It is certainly something to consider when choosing a company. Do they offer a free freight analysis? – This is quite likely the most important factor. You want a company that will take the time to consider your business’s needs. They should look at what you will be shipping, how often you want your parcels shipped, how fast you need them to be shipped, and what your budget constraints are. By taking the time to gather this information, a good freight moving company can work with you to create a package that is custom-tailored for your company’s needs. If you own a business that does a great deal of shipping, you really must consider the advantages of working with a freight moving company. The impact it will have on your business will be incredible. Although there are a number of reputable companies in Australia, a good place to start is the National Freight Management (NationalFreightManagement.com.au). They will not only meet all your freight and parcel needs, but they will also provide knowledgeable service and support. Thus, giving you the peace of mind to concentrate on other important aspects of your business. Shipping larger products is nearly impossible because it seems almost no company wants to do the work. This is when some businesses need to know about business freight and how this helps them in getting their products shipped from one point in Australia to another point in the country or around the globe. With a guide, though, the business will start to figure out how to ship all of their products and know they will arrive safely at their destination, rather than being destroyed en route. Figuring out where the company ship to on a normal route is important if people want to save money. When the stops are on a normal route for the business, they will typically not have as much to pay. Consequently, this will help the company save quite a bit of money. However, if people are looking at the cost of the shipping, they will want to consider this. It’s because if the shipping company can deliver to a local location, the cost may be lower. The key is to make sure the recipient of the item does not mind picking up at the location or paying for the extra shipping to get it delivered to their home. Minimum quantity to ship is something else to consider. While most people think the shipping companies will be like some of the smaller companies, a business freight shipment generally has a minimum to ship or be charged to. This in turn can help the business in shipping out the products they need. Also, letting them know how many of them they have to ship out at the same time. Without this information, a business may think it can ship out a single product only to see it is going to cost them more than what they are getting from selling the item. Packaging may not seem like it is a major concern. However, people need to realise a lot of these companies require packaging to be done to a specific level. The packages should also have to be labelled properly. This is to guarantee that people will be aware of the kind of product they are handling. Labelling is very important especially in the event of an accident and it’s too late for them to find out the materials were hazardous. Without this, people may have problems in getting the products shipped around the country or somewhere in the world because of the lack of labelling on the packages. Drop off locations or pick-up stations are something else for a business to think about. Typically, freight businesses like NationalFreightManagement.com.au have this detail outlined on their website. However, people still need to verify if this information is correct or not. Without verifying the information, people may end up waiting for someone to deliver the package, but not having anyone to arrive because they are supposed to drop it off. At the same time, people need to know if they should have a special crew on hand to help load the truck or not. The types of vehicles used for the shipping process should be considered as well. Most people may think they can get any of the trucks ready to haul their products. However, they need to realise that this is not always the case. That is why there’s a need to evaluate the fleet of shipping containers the company has available. This way, they will know for certain if the products they are shipping out will be protected from the weather. It will also inform them if the company who is shipping the products out will need to have some additional protection on the boxes or crates to protect the products they are shipping out. Shipping larger products can be nearly impossible because a lot of the shipping companies do not want to handle larger products. This is when people need to know more about the business freight services that are available. This kind of services will make it easy for them to ship out larger products on time. Without this business freight service, many businesses are going to have difficulty in getting their products shipped to their customers. Thus, lead the business to have problems in keeping a customer base. You don’t want this to happen on your business, right? So, it’s about time to rely on the best company offering excellent freight services today. Truck capacity shortage is oftentimes a problem in a freight service and this might continue to happen in the future. However, if you are armed with a good freight carrier, this will be the least of your worries. There will be many carriers who will be involved in shipping out your goods or products depending on the origin and destination of your shipment. There are some shipments that might force you to hire a freight broker or freight carrier. This is because these companies are specialised in arranging your freight. They have a wide network of carriers making the process easier. This article will provide information about choosing a freight carrier with an excellent service. The first thing you need to consider when choosing freight carrier services is their licence. They should be authorised by the various authorities like the department of transportation. People who are exempted from some of these licences and authorisations are the freight forwarders and freight brokers. Make sure you learn as much as possible on the required licences and authorisations to get the best company. There are times you might have some complains and concerns only to find out the company was not licence. Many have made a lot of losses with unlicenced companies. The next thing to consider is the freight carrier’s cargo insurance. 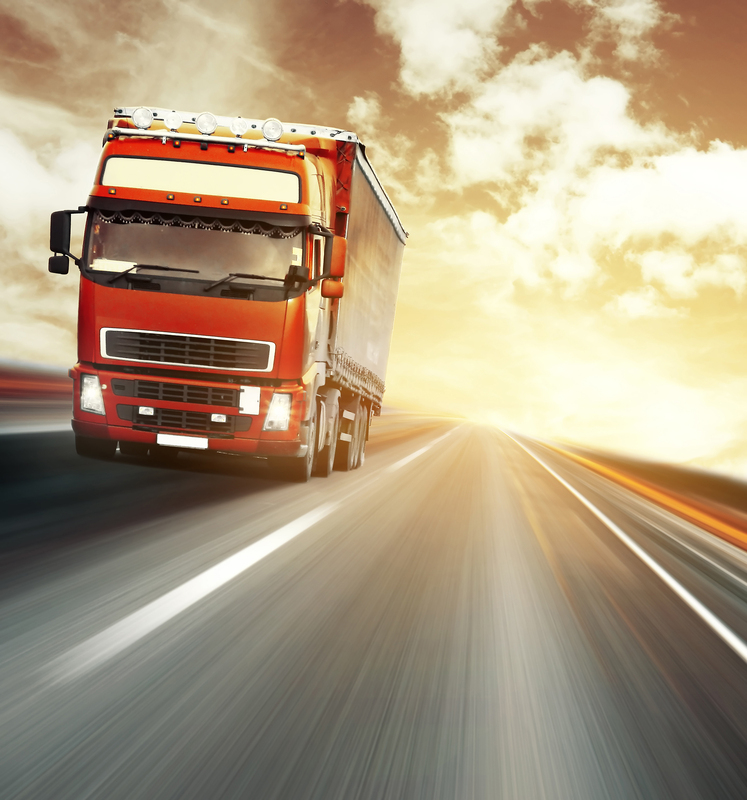 There is a minimum amount of insurance required for every freight haulier to operate. It’s however very important to buy insurance from a third party. Find out the claims to damage ratio of the freight carrier to minimise the risks. The ratio will give you the percentage of claims that the freight company has paid as a result of damage, loss or theft. The company should have the claims to damage ratio at a percentage lower than 1.5 percent. If the percentage is higher, there is a higher risk of losing your shipment or getting damaged when being shipped. The customers’ feedback is one of the best ways to know if the freight carrier is the right for you. There are many ways you can find these feedbacks of past clients. There are tons of places online where you can find the reviews of various freight companies. Another way is to google the name of the freight company, there is a chance there will be a number of reviews or complains to read. If the complains were resolved, then it is okay to choose this service. But, if the complains were not resolved, it’s better to think twice. The department of transportation can also be a great way of knowing more about these freight companies. The duration the company has been in the field of service plays a big role. The fact that the firm has been in the industry for many years, means they have dealt with a number of experiences and issues that arise during shipping. They also understand how to deal and avoid any complications. A company faces any challenges during the first and second year of service. If it gets past that, it means they can deliver excellent services. It’s best to get involved with an experienced freight carrier. There has been a link between the duration of the company in service and the service delivery. The frequency of your shipping is also a great factor in choosing a freight company. If the company has lower rates for subsequent clients, it’s good for you. There are a number of companies that offer loyalty programs to their clients. This will save a lot of costs and build a relationship with your freight carrier. It’s not always a good thing to choose a carrier on the basis of rates. This is because the lowest rate can mean poor quality services. If the company has a good reputation and service delivery, then the cost will follow in determining the best carrier for you. If your shipment is for a business, then time will play a major real. No business owner wants the goods to be delayed or take long periods of time to be delivered. Choose a freight carrier who delivers on time. This means you will easily get your goods at the right time. Although the mode of transportation used will mostly determine the duration, different carriers have different delivery timeline. NationalFreightManagement.com.au is one of the freight carriers in Australia that offer all of the positive qualities mentioned above and even more. They have continued to deliver and provide quality freight services to any point of the country and around the globe.